Gatorfoam Gator Board is a durable board that resists dents and punctures. The exceptionally hard and smooth surface is uniform and blemish free. Photo mounters, artists, designers, sign painters, exhibit builders and engineers have counted on Gator Board for years. 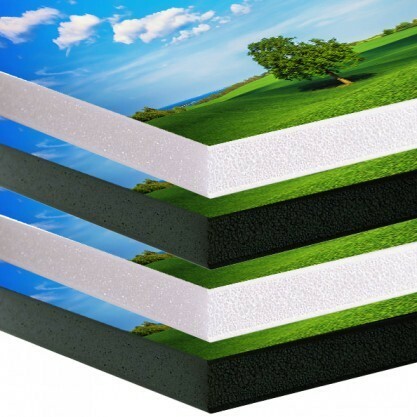 These Mounting Boards feature a light durable core of polystyrene foam, bonded on both sides to patented Luxcell facings. It is ideal for indoor or outdoor use. Gator Board is great for when you need more stability than the standard Foam Board. 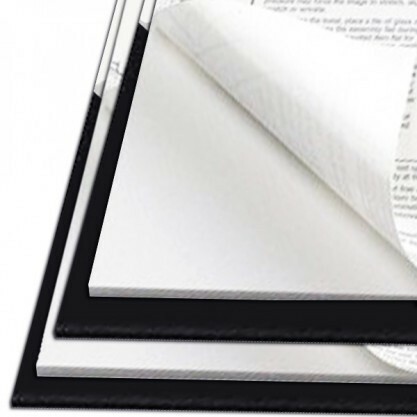 Gator Board is great for presentations that will be handled often, or for documents that need the extra strength to hold up against unforeseen conditions. Plain Gatorfoam Gator Board features all of the great benefits of Gator Board without an adhesive pre-applied to the board. This means that it is the most versatile gatorfoam gator board on the market, as it can essentially be used for any application. The remarkably durable and level surface is consistent and flawless. Gatorfoam Gator Board Mounting Boards feature a light weight, but durable center made of polystyrene foam that is bonded on both sides to the patented Luxcell facings. 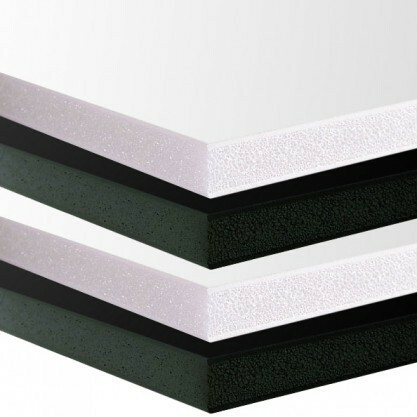 Gatorfoam Gator Board is great for when you need more stability than the standard Foam Board, as the extra rigidity and dent-resistance can be compacted into the same thickness as standard foam board, which is just 3/16” thick. Plain Gatorfoam Gator Board is also available in thicknesses including 1/2", 3/4", or 1”, giving you even more stability and confidence. Heat activated Gatorfoam Gator Board mounting board (also known as HAM gator Board) makes mounting posters simple using your heated roll laminator. Gatorfoam Gator Board Mount Boards feature a specially formulated adhesive that assures consistency and even bonding to your print. This one-step procedure saves time and money by eliminating the tissue adhesive application in the mounting process. Heat Activated Gator Board is great for presentations that will be handled often, or for documents that need the extra strength to hold up against unforeseen conditions. It is a popular choice for print shops, long-term displays, or heavily trafficked trade shows and conferences where the boards could be bumped often. Gator Board is available in black or white. Self-Stick Gatorfoam Gator Board Mounting Board allows for mounting your items without hot mounting or laminating equipment. These boards feature a cold adhesive that is pressure sensitive so all you need to do is peel the cover, line up your print, and press down (or use a small hand roller, called a brayer). Self-Stick Gator Board if known for being it's stability and durability, all compacted into the same thickness as standard foam board; 3/16". Gatorboard is also very high quality, making it perfect for mounting prints that will be handled often. No other self-stick board of this size is as sturdy as Gator Mounting Board.